JConcepts Swaggers Carpet 2.2" 2WD Front Buggy Tires have a multitude of heights and angular ribs for corning speed, consistency and straight-line tracking ability. The Swagger has shown to produce ultra fast lap times while also being easier to drive than other options on the market. 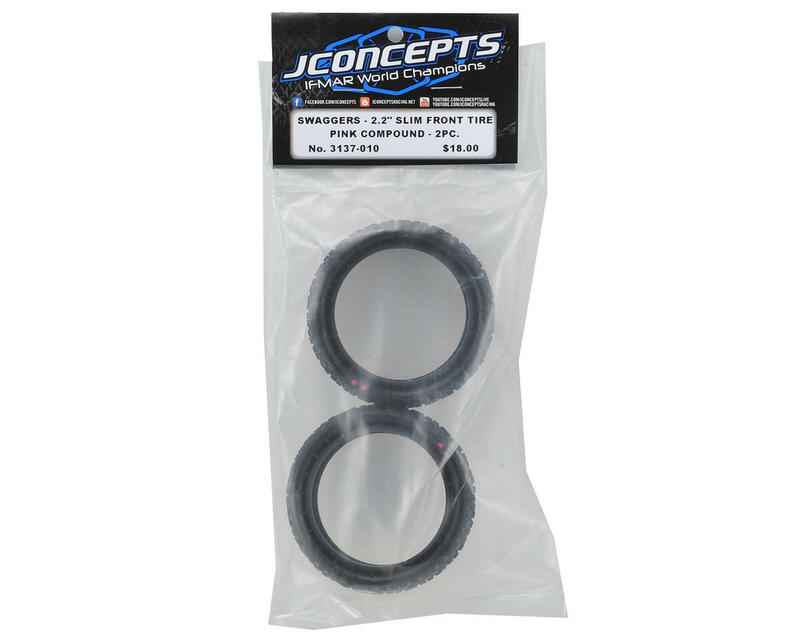 The front tires are designed for the narrow “slim” style front wheels which are already available from JConcepts with part numbers JCO3376W or JCO3376Y. The ultra low-profile carcass keeps a 2wd buggy very predictable and consistent in high-grip conditions while pointing the vehicle in the correct direction. JConcepts has added side-wall ribs in a circular pattern to the exterior of the tire to support high-grip racing. The pink compound marked with 2 pink dots on the tire is a medium soft material with good wear characteristics. 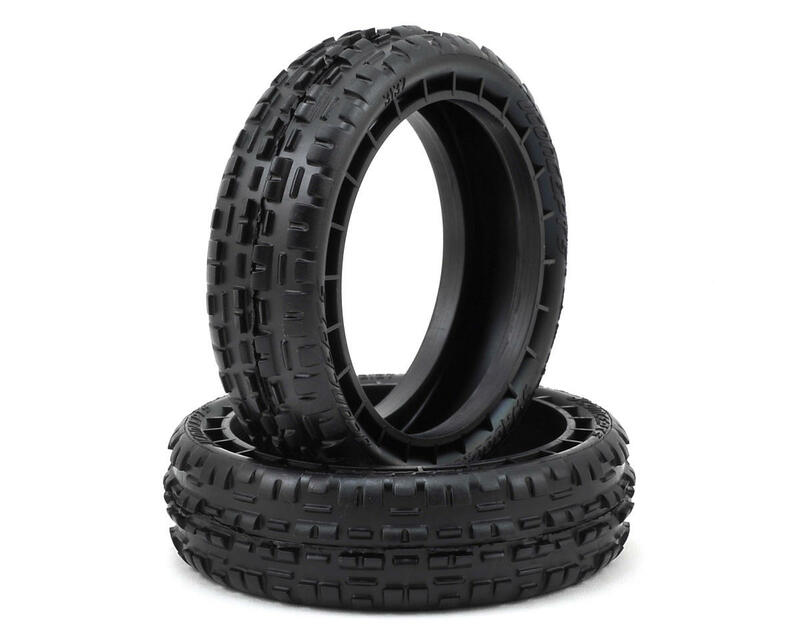 Since the Swagger tire is so small in diameter, no insert is necessary for championship level performance. these do seem to track straighter on astro turf, a lot less edgy and twitchy, they also work good on 4WD buggies to reduce front traction, traction rolling, and smooth out steering.